It is finally September and with that comes apple themed everything in many schools across America. I am sharing some of my favorite September awesome appleliousness! We use to always do an apple themed unit of study in September. It was always such a fun unit to do after that busy first few weeks of assessments and such. Here are some of the fun things we do with apples. This is such a simple experiment and you don’t need a lot of things. Create a simple chart and ask the kids to predict if they will sink or float. Have the kids drop the apples in the water and see what happens! After you are done with this experiment you can put a new twist on the old “Bobbing for Apples” game. Instead of having the kids put their faces into a bucket of water because let’s be honest that can be just plain scary for some kids. You can have them try and get the apples with different kitchen spoons. Use slotted spoons, metal, plastic and even tongs for fine motor skills. Have the kids again graph which tool worked best. Another idea would be to set up two stations and have the kids race to see who could get it out the fastest or the fastest without making a HUGE mess. So many possibilities! There are so many fun things you can do with your class from taste testing, reading, math and science activities and so much more. Check to see if you have an apple orchid in your area and take the kids on a tour. We always visit the Gilcrease Apple Orchard and they have some amazing apple cider donuts! In addition to all the fun above, I created this fun set of apple themed freebies, I hope it helps in some way! First up is the ever popular taste testing. Bring in some red, yellow and green apples and have the class vote on their favorite kind. This activity includes posters and has 2 different graphing activities you can do. One is a whole class and the other is to ask 5 boys and 5 girls in the class which ones they like best and graph it out. QR codes are always a big hit with kids! Using this technology kids can listen to a story read aloud and then follow up with a response sheet. This set has a cute story about The Biggest Apple Ever! 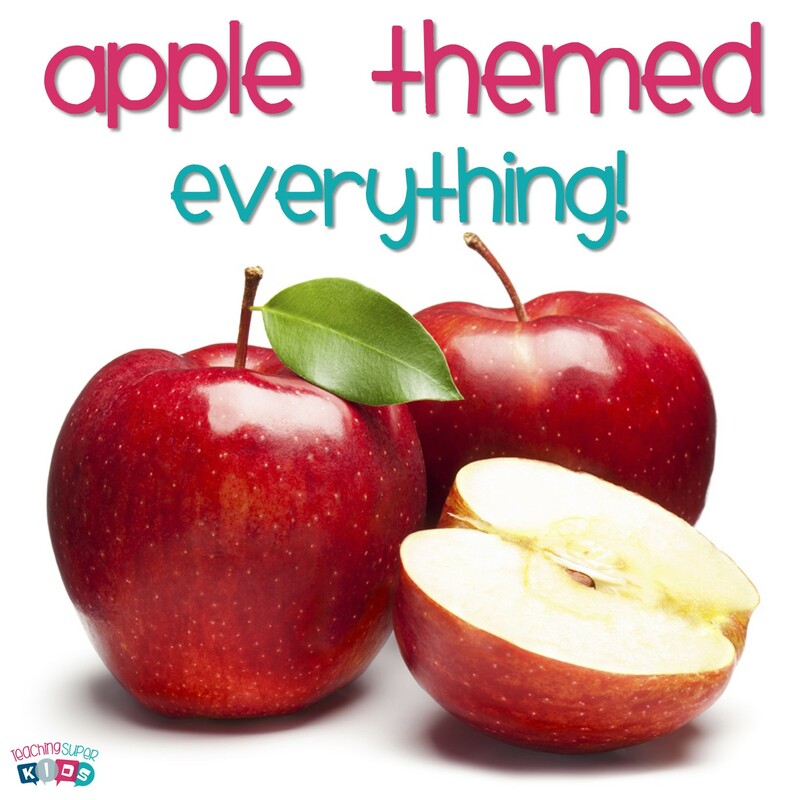 I hope you can use these in your classroom this month or whenever you do your apple theme! So many wonderful apple ideas, thank you for sharing! Apples is my favorite theme! Thank you for the Apple Freebie!